It’s finally go time! After years of dreaming and months of planning, Berk and Kell are putting the final items in their suitcases and headed to Morocco! They’re jet setting for Casablanca first, then headed to the markets in Fez, Marrakesh and Essaouira — they can’t wait!! 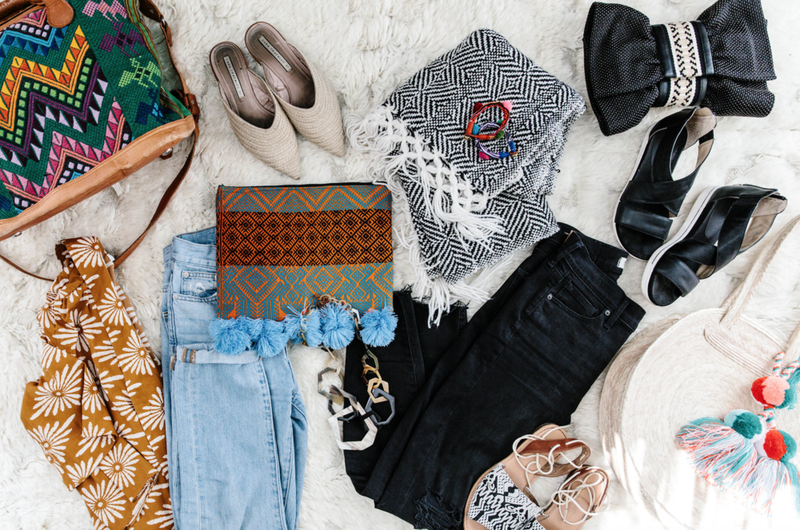 Here’s a glimpse into favorite travel items! Black sandals. Having a pair of comfortable sandals is key, and Kell’s go-to pair is this strappy, black sandal that she swears by. Braided Flats. Always pack a pair of flats to dress up or down with an outfit — and Berk loves these braided mules from Zara. Black and White Wrap. One of the duo’s all-time favorite finds was the black and white wraps they scored in Mexico. It not only is the perfect neutral wrap but it doubles as a blanket in the plane or to cover shoulders when going into a mosque. A kimono. Kimonos are always a must, because it’s an easy way to add personality to any outfit — jeans, skirt or dress. 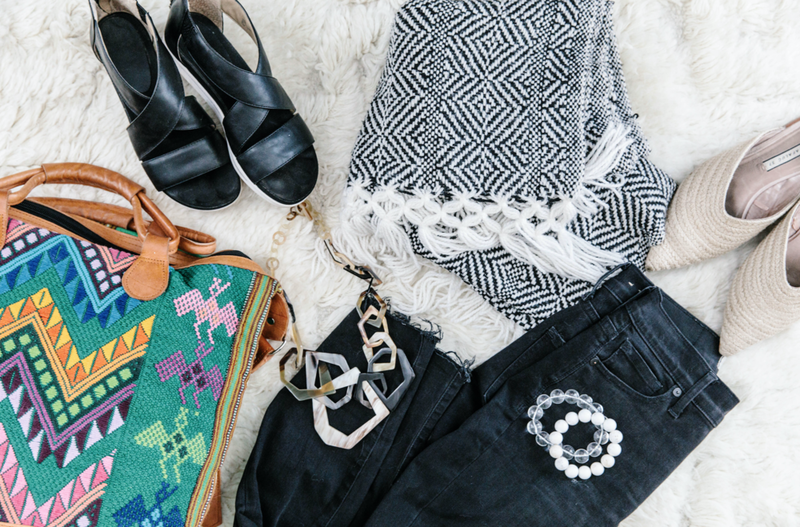 The Billabong kimono they’ve tucked in their bag is a favorite from several seasons ago, but their favorite jeans are from Madewell. Travel Pillow. There’s nothing more important than starting a sourcing trip with some good zzz’s, and that’s where travel pillows come in handy. This is the HON go-to pillow for plans, trains and every form of transportation. Tiger Balm. Berk swears Tiger Balm is good for everything — motion sickness, pain relief and even bug bites. Multiple canisters make it into every bag for this trip! Empty suitcases and compression bags. Berk and Kell are packing all their personal items on two carry ons so that the four empty suitcases can home filled with decor items they’ll score in markets in Casablanca, Fez, Marrakesh and Essaouira! Compression bags are the secret here. Travel toothbrushes. Just a little way to keep fresh — Berk and Kell keep these disposable travel toothbrushes tucked in their bags. Wrinkle spray. This tiny travel-size spray does wonders for getting wrinkles out of clothing! Kell adds another little known fact with a laugh — they both get cankles easily so grab the largest container of water they can in the airport and sip it constantly while on the plane. Kell’s packed a Domino magazine and a few Architecture Digests — catching up on inspiration she hasn’t had time to dig into at home. Follow Berk & Kell’s adventure on instagram at @houseofnomaddesign! Watch for posts with photos as well as photos on the instagram stories. Bon voyage!